Shadows, Wolves, and Ancient Goddesses. After his excursion into the realm of the dead, apprentice mage Jyximus Faire wants a more quiet life. But a petulant prince wants to raze the Underground City and turn it into a pleasure ground for his rich friends. And a Lord of Death seeks a hidden artefact to tear open the Veil between the worlds and destroy the living. Taking it easy is not an option. Even though she condemned him to the Perpetual Death, the necromancer general Eufame Delsenza needs Jyx’s help to escape a notorious prison. And she needs him to work with a Shadowkin, a persecuted race used as thieves and spies. Can Jyx regain his confidence in his magick and ‘go rogue’ to awaken an ancient goddess, work with wolves, and save his home from destruction? 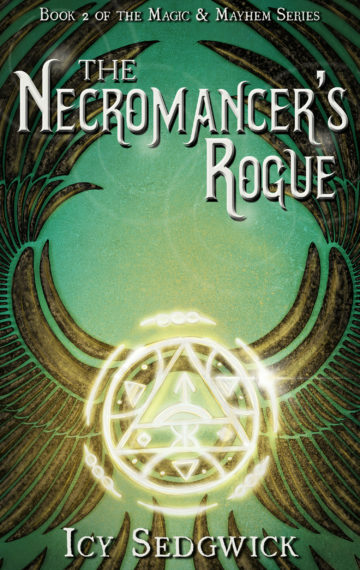 The Necromancer’s Rogue is the second book in Icy Sedgwick’s quirky dark fantasy Magic & Mayhem series, following The Necromancer’s Apprentice. 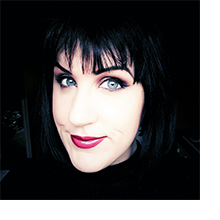 It’s ideal for fans of Harry Potter, Tim Burton, Terry Pratchett or Neil Gaiman.